MALE, Maldives (AP) — Maldives strongman President Yameen Abdul Gayoom conceded that he lost Sunday’s election to his challenger, longtime lawmaker Ibrahim Mohamed Solih, in a speech broadcast live on television Monday. The concession and the results were a surprise to Maldives’ opposition, who had feared Yameen would rig the vote in his favor. Since getting elected in 2013, Yameen had cracked down on political dissent, jailing rivals — including his half brother and the Maldives’ first democratically elected president — and Supreme Court justices. 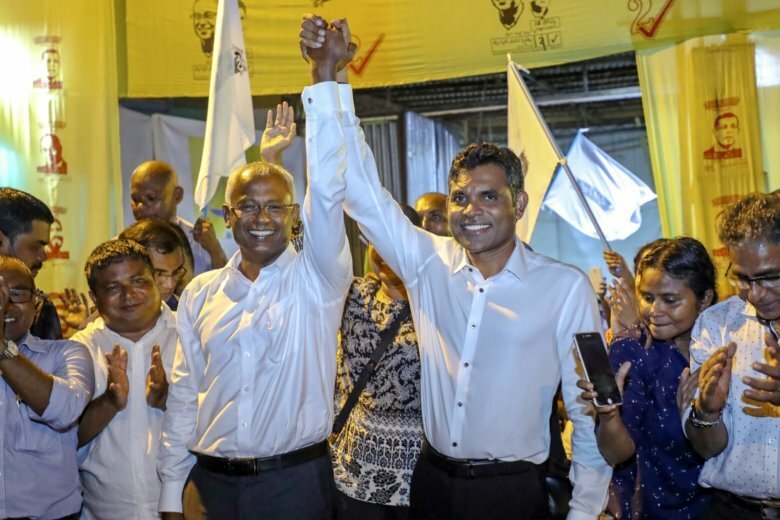 The election commission released provisional results earlier Monday showing Solih had won the South Asian island nation’s third-ever multiparty presidential election with 58.3 percent of the vote. The commission said voter turnout in the country of 400,000 people was 89.2 percent.